 As busy Moms, we love it when something can perform various functions, or is versatile. This applies to food as well, where a single ingredient can take many forms – like our very own raw Kerala Banana Powder! 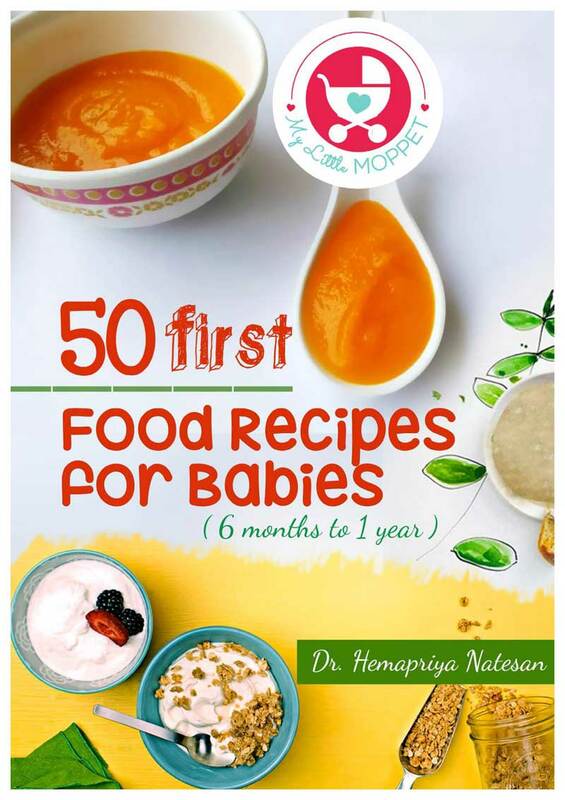 This is a traditional baby food, specially popular in South India. 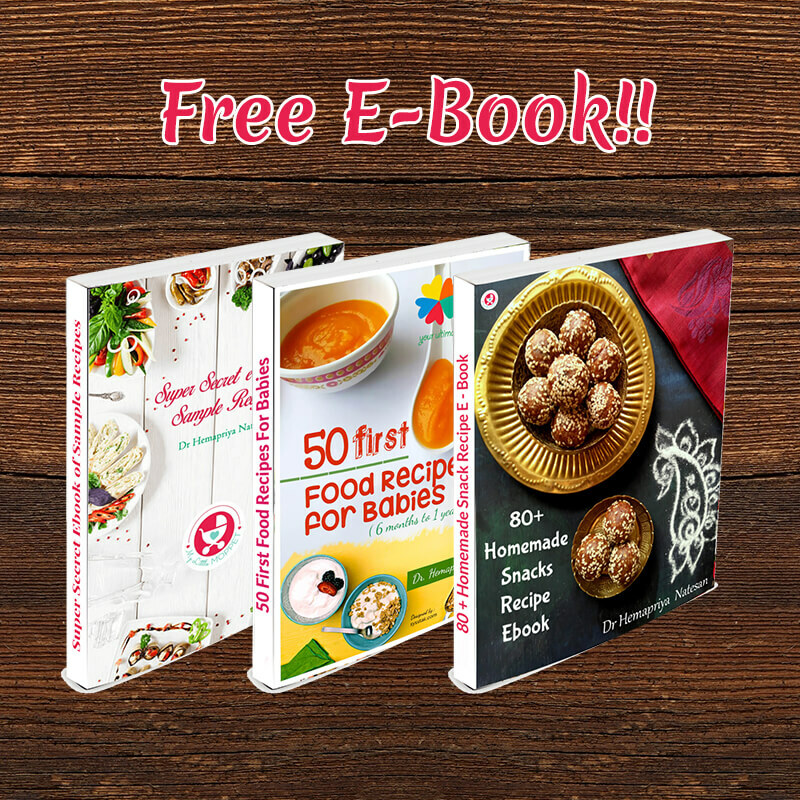 But the beauty of it is that it can also be used to make halwa, fritters, payasam and much more! 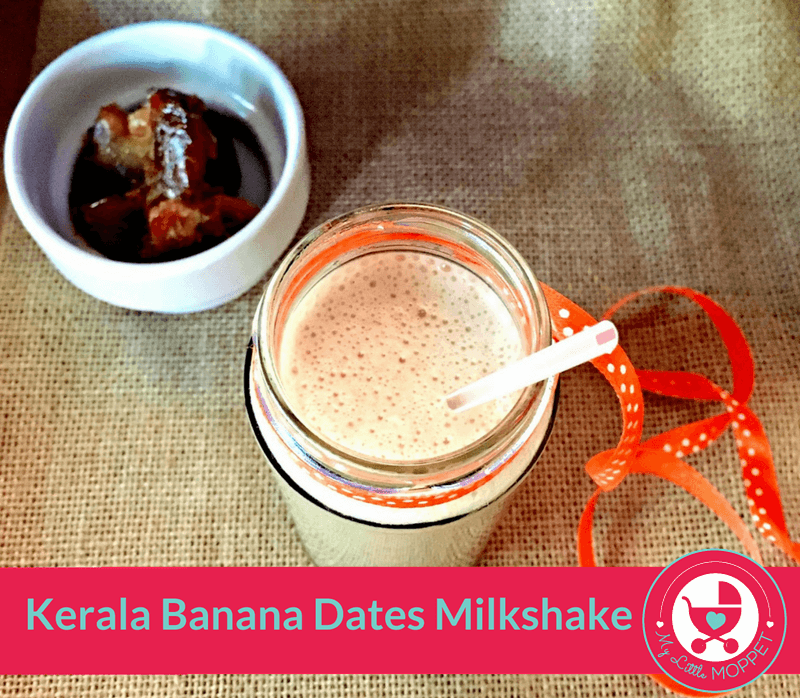 Today, we have a Kerala Banana Dates Milkshake recipe, made with raw Kerala Banana Powder, dates and honey. 1. 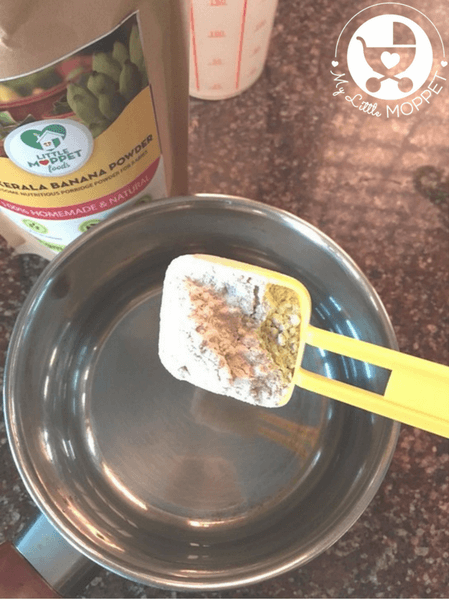 Mix Kerala banana powder with water without lumps. 2. 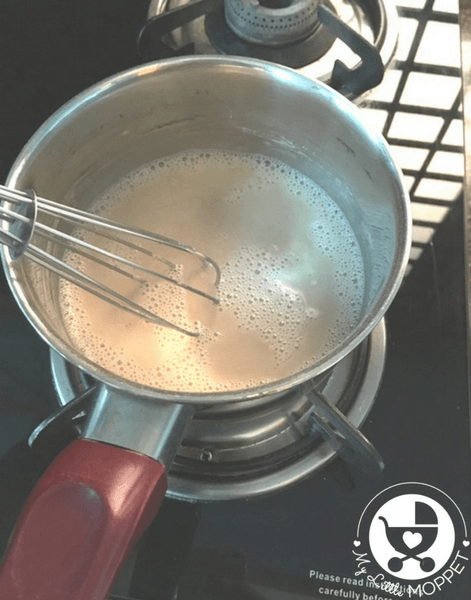 Cook this mixture over a medium-low heat till completely cooked. Let it cool. 2. Remove the seeds from the dates and chop it into small pieces. Soak them in warm milk for 10-15 minutes. Put this into a blender jar and add honey as required. 3. To the dates-honey mix, add the cooked banana powder and ice cubes, if you like. Blend till smooth. 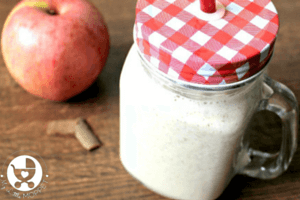 This is a very refreshing and filling drink for kids, especially if they’ve just come home after playing sports. 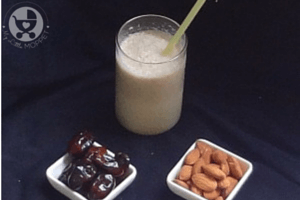 The banana in the milkshake helps to rehydrate them, while the dates offer instant energy and maintain sugar levels. 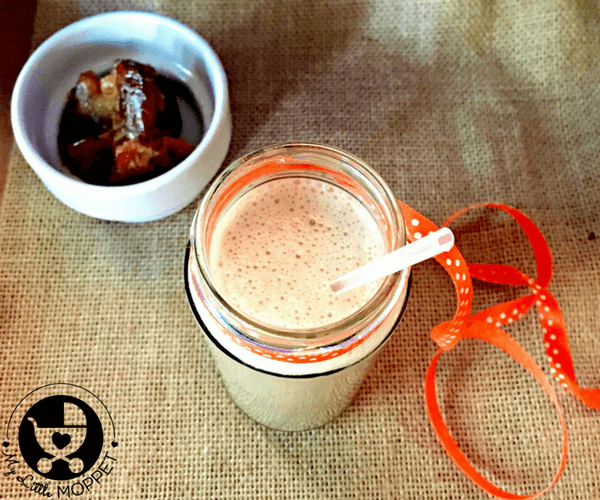 All in all, this is a truly nourishing milkshake that also tastes heavenly! 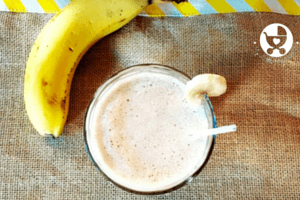 Our raw Kerala Banana Powder is very versatile and one recipe you can make with it is a Kerala Banana Dates Milkshake, a nourishing drink perfect for kids after playing sports. 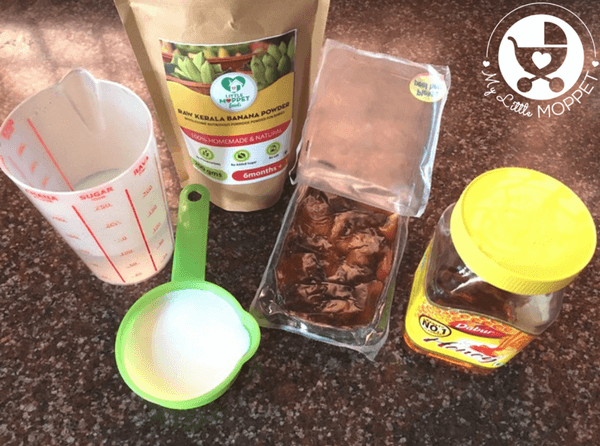 Mix Kerala banana powder with water without lumps. Cook this mixture over a medium-low heat till completely cooked. Let it cool. 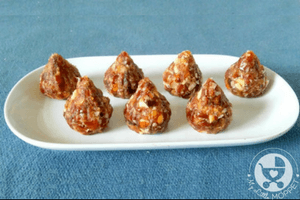 Remove the seeds from the dates and chop it into small pieces. Soak them in warm milk for 10-15 minutes. Put this into a blender jar and add honey as required. To the dates-honey mix, add the cooked banana powder and ice cubes, if you like. Blend till smooth. Serve chilled. 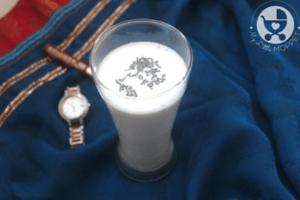 This can be made with cow’s milk as the recipe can be given for 1+ year old babies. If you wish to add formula milk, you can add a bit of Formula milk before serving when it is lukewarm or cold. 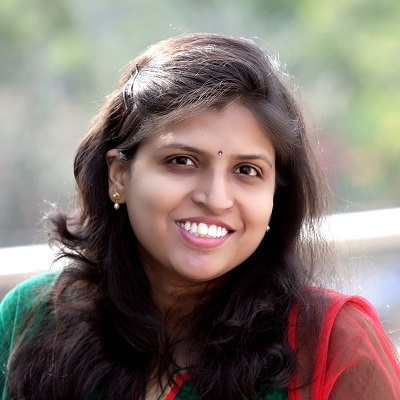 by which month Dates can be introduced to baby? 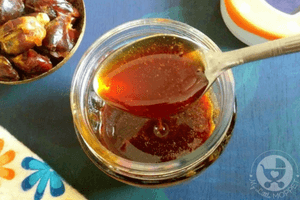 Dates can be initially introduced as powder/ syrup from 8+ months of age. Yes on cooking the Kerala Banana Powder it will become thick. 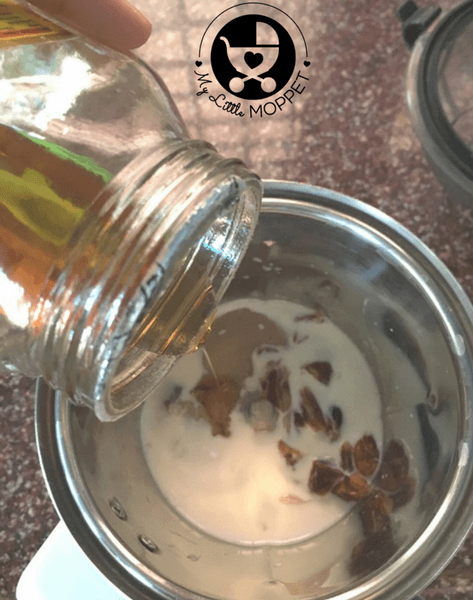 But to make the porridge more runny after it is lukewarm or cold you can add a bit of Breast milk or Formula milk till you get the consistency you are looking for. Children’s of which age can be given this milkshake. 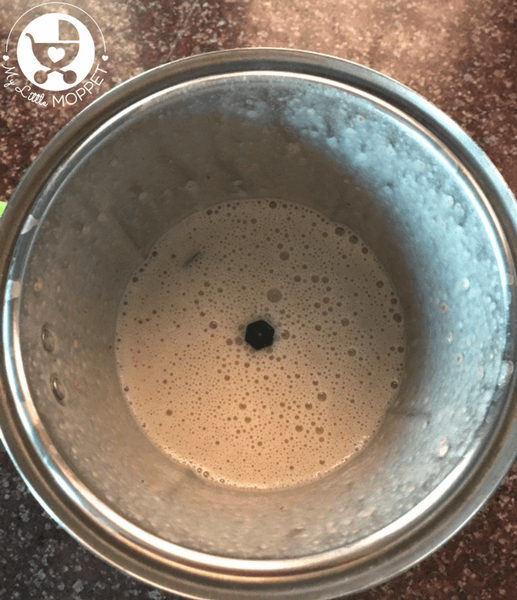 This shake can be given to babies if you have already introduced outside milk to the baby. Hope you have introduced all the ingredients separately. If you have introduced milk and dates to the little one , you can give.